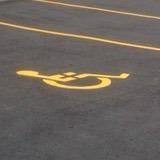 NEED YOUR PARKING AREA PAINTED? Call us or Submit Your Details for a QUICK QUOTE (it’s free). WHAT GOODLINEPAINTING CAN DO FOR YOU! 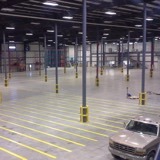 GoodLinePainting is one of the longer serving line painting companies in the area. We’ve been in business for over 30 years. When we first started there were only a small number of line painting companies in the area however a number of others have come on the scene over the past few years. Not all line painting is the same, some produce professional work, others care more about how many jobs they can get done in a day. 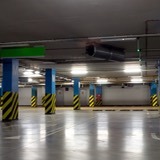 The next time you walk through a parking lot – take a look and evaluate the line painting or stencilling job and evaluate it using the following criteria. ARE THE LINES THE SAME LENGTH AND ALIGNED? IS THERE OVERSPRAY THAT HASN’T BEEN CLEANED UP? 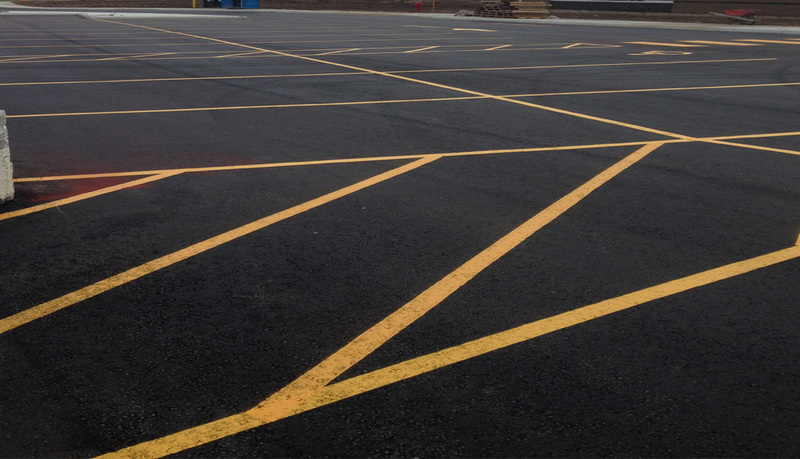 When choosing the right line painting company to paint your parking lot lines, whether it’s a redo or a new layout, make sure you go with an established line painting company that takes pride in its work. 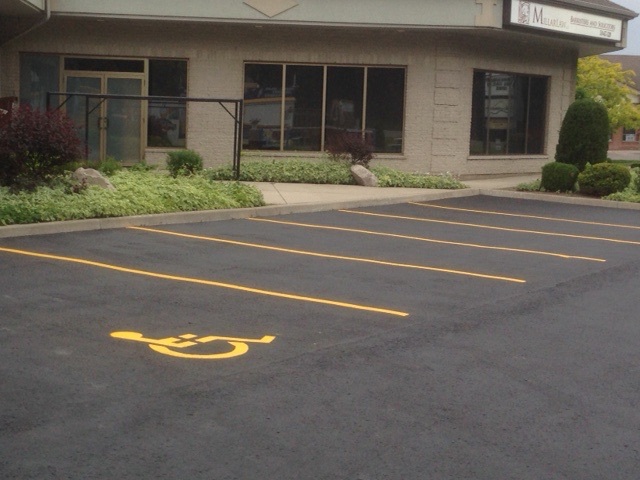 The professionalism of the line striping (or repair) job on your parking lot can be the first thing that reflects on your business when people drive in. You may have done your homework and had your parking lot lines repainted – and yet you find that it doesn’t seem to last as long as it use to. Some property owners, property managers and other building managers are finding that line paint is not lasting as long as it once did. The painting needs to be done more frequently. One reason for this change may be that our government has prohibited the selling of traffic marking coatings with volatile organic compound (VOC) concentrations greater than 450 g/L. What does this mean? Companies painting parking lots and roads must use water-based paint rather than oil-based paint. Lower VOC paint does not last as long as the paint previously used. Here at GOODLINE PAINTING we take pride in our work. We’re happy when our clients are happy. A parking lot is an extension of the building and the way it looks reflects on you just as much as the condition of your building. That’s why our goal is to make your parking lot look its very best!